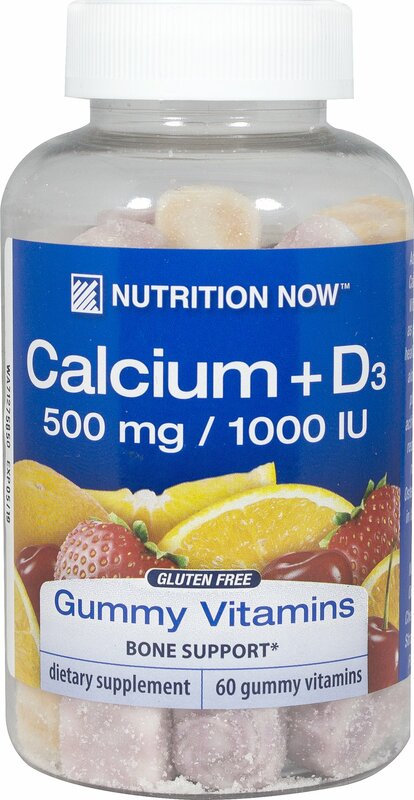 Nutrition Now Calcium Gummy Vitamins for adults with Vitamin D contains as much calcium as two 6oz glasses of milk in each serving. 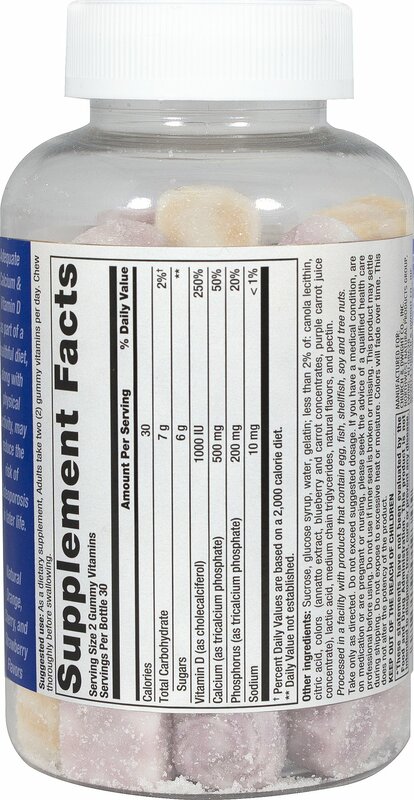 Naturally Flavored orange, cherry and strawberry gummy vitamins. Contains no wheat(gluten) milk, eggs, peanuts, tree nuts or soy.